November | 2013 | What do self regulation and standards based education have in common? Could not explain it better….. I am a visual learner, the artist and narrator do simplify the shift to the common core, however at times simplicity is the key to understanding very complex issues. Note the importance of having shared standards across states without being forced to share curriculum. The standards give us shared goals, our educators can provide the paths that lead towards reaching them. Does it have to be either critical or creative? Often comments are made which set apart creative from critical thinking, rather than encourage students to integrate both types of processing into their learning strategies. The self regulated learner can think both critically and creatively if appropriate goals are set, measured, and outcome is analyzed. Whole brain thinking is a goal of the common core for the 21st century student to be successful. Critical thinking involves logical thinking and reasoning, while creative thinking involves creating something new and original. When we encourage our students to think critically we develop skills in specific areas of logic such as comparison, classification, sequencing, cause/effect, patterning, webbing, analogies, deductive and inductive reasoning, forecasting, planning, hypothesizing, and critiquing. 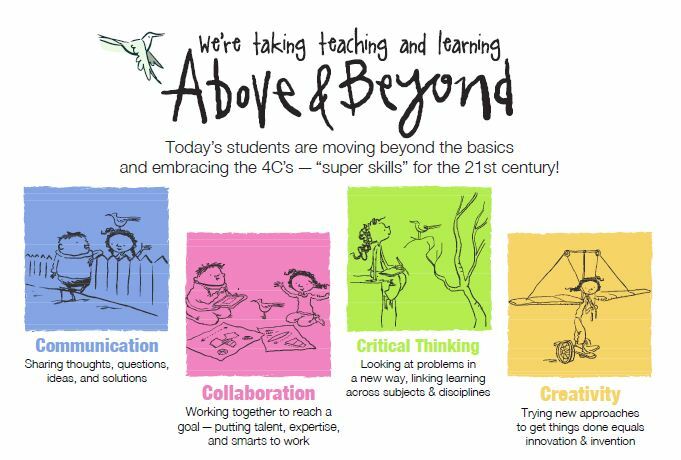 When we encourage our students to think creatively we develop skills of flexibility, originality, fluency, elaboration, brainstorming, modification, imagery, associative thinking, attribute listing, metaphorical thinking, forced relationships. The outcome of thinking critically should be to stimulate curiosity and encourage divergence. For many years now we have heard the term “literacy integration”, which requires reading, writing, and speaking to be instructed and enhanced across the curriculum. What we need now is to teach “whole brain thinking” to encourage our students to apply both critical and creative thinking strategies to multiple types of assignments. The common core is not focused on just learning the facts, it encourages students to use those facts creatively. Self regulation is about making choices. The common core expects students to be able to make better choices as a result of training in making informed decisions about both learning tasks and behaviors that impact performance. 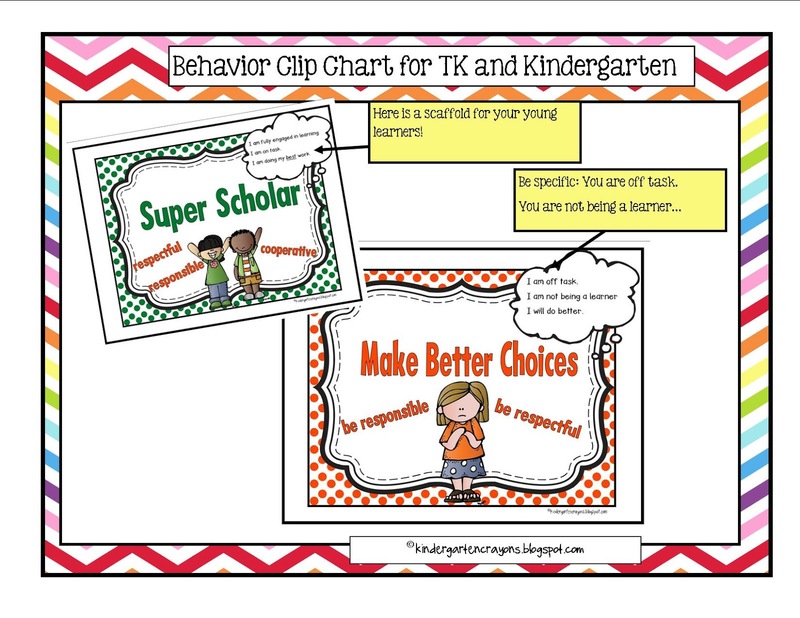 Strange to add a visual from a kindergarten blogger when speaking about classroom behavior at the middle and high school level? We can learn much from early childhood educators who are embracing the core wholeheartedly. For the last few weeks I have had the opportunity to travel and speak with teachers in different parts of the country about their experiences with the common core. 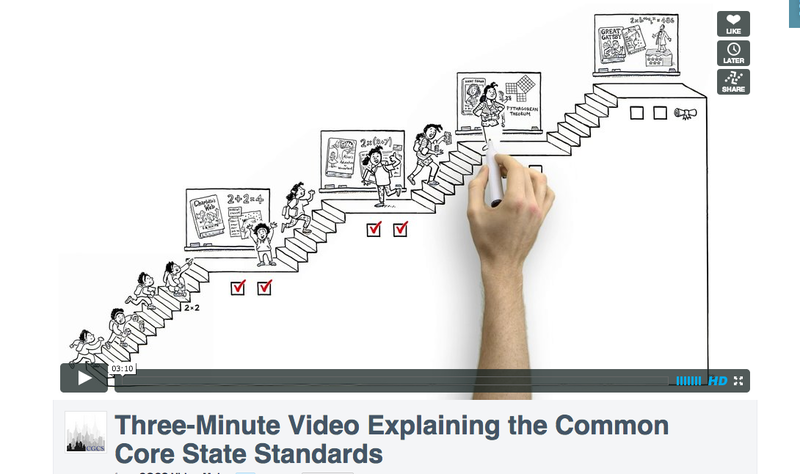 When the common core is seen in the form of what it is intended to do, it is a wonderful educational tool. When it is viewed as a restriction to teaching and learning, it is seen as a burden for the busy teachers who do not need another thing to do. Lessons that embrace the common core can teach behavioral management at every level of development. For example, many teachers are in charge of classroom where managing students behavior appears to distract from moving forward with the core. My thinking is this area is if we wait to have perfect classroom management we will never infuse the core standards that help to direct learning and development, especially in middle and high school. Adolescence brings to the classroom a dimension that should be embraced, and not extinguished. With all of the voices telling teachers how to embrace the core, I propose the teacher begin with the best practices that have worked in the past and apply what works to address areas of the common core. The common core does not ask us to extinguish the old, just apply what works towards a common goal of excellence in development and learning.